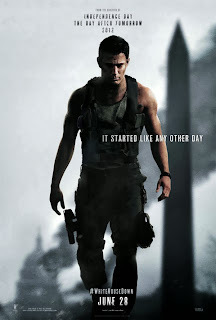 “White House Down” is now available on DVD, and it allows us to witness a plot against the president of the United States. The bad guys have aspirations for nuclear conflagration and huge financial gain. They just have to get past Channing Tatum. The film has similarities to the “Die Hard” series, and Channing Tatum takes on the physical characteristics of a Bruce Willis. The action is intense! But that’s not why this movie gets a mention in Anti-RepublicanCulture. It’s because of the political aspect that nobody notices. Not one critic (not The Hollywood Reporter, not Richard Roeper, not RogerEbert.com) sees the use of politics in the movie. Nobody notices that the bad guys are characterized in a particular way. The movie features “right wing” terrorists, a corrupt Speaker of the House, and Jamie Foxx as the heroic POTUS. If you are paying attention, you might see a connection to Republicans, to John Boehner, and to president Obama. But Republicans cast as bad people? Not a problem.